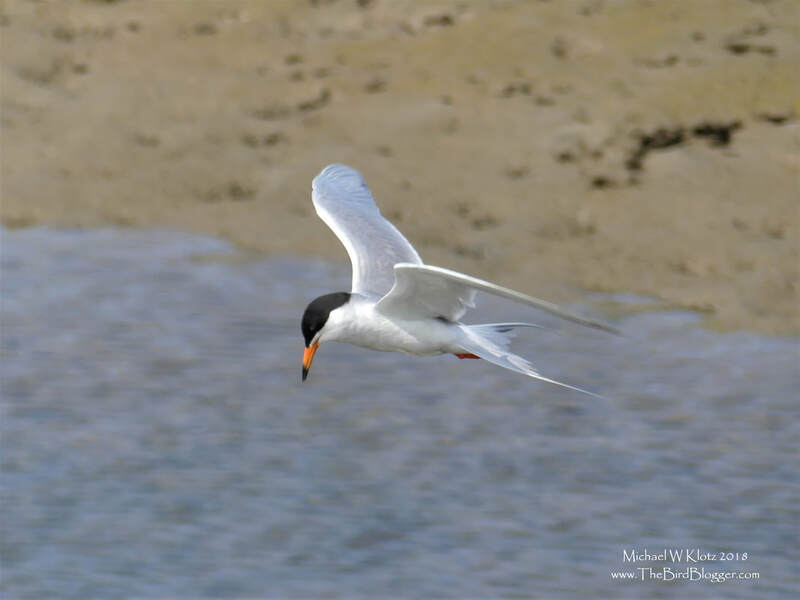 One of the best parts about Bolsa Chica is the photo ops that the Forster's terns give a photographer. When the breeze is right, which is often, the birds fly at the height of the boardwalk and stop to see if the fish they caught a glimpse of is going to stay put long enough for them to try a dive. They hang for the 2 or 3 seconds, giving just enough time to grab that in-flight photo. Its not always that easy, for which I have 500 other photos to prove the user error. Some of the pics are blurry, some are just wings on the bottom of the frame and lots are of a blurry water surface with no bird at all because by the time you move to click the shutter, they are long gone. Lots of the latter pics.